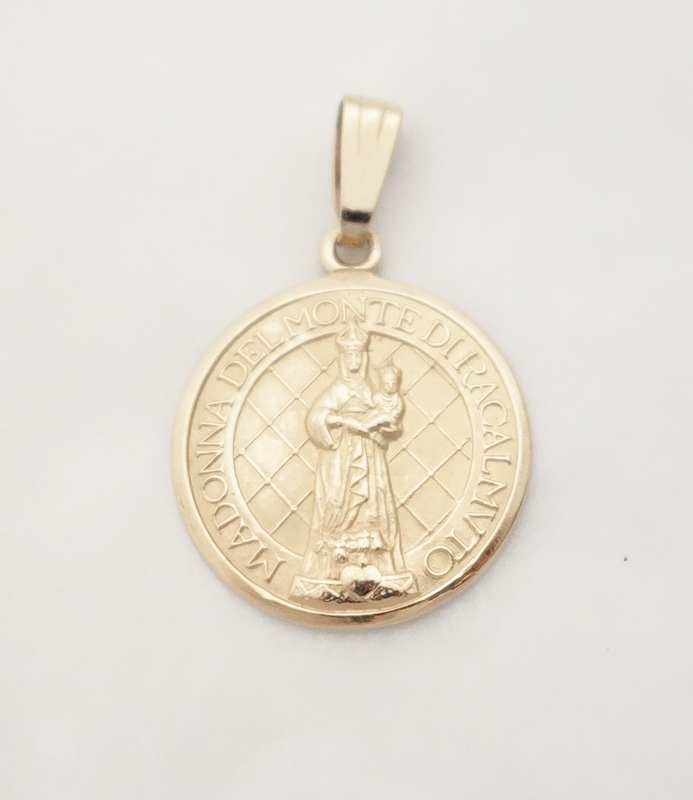 A 14k Madonna Del Monte Di Racalmuto medal would be a great gift for anyone devoted to the Madonna. 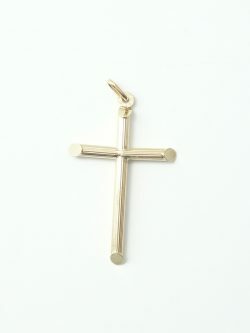 An 18inch* 14k chain IS included but NOT shown. All prices are in Canadian dollars. 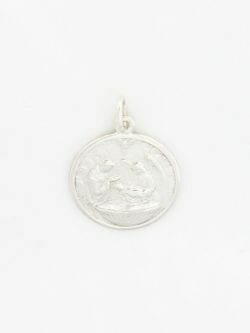 A solid sterling silver baptism medal would be a great gift for any boy or girl as a keepsake for their baptism. The sterling silver chain is 24 inches* long. Chain not shown. Diameter of Medal: 20mm* Total Length of Medal: 27mm* Length of Chain: 24 inches* *all measurements are approximations. All prices are in Canadian dollars. 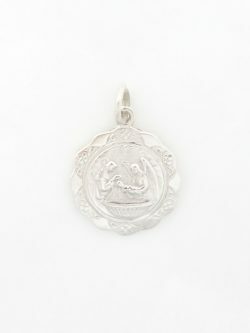 A solid sterling silver baptism medal would be a great gift for any boy or girl as a keepsake for their baptism. It comes with a sterling silver chain. Chain not shown. 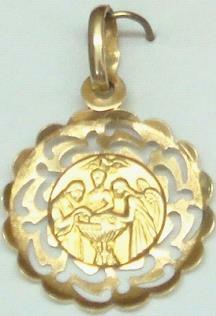 Diameter of Medal: 17mm* Total Length of Medal: 24mm* Length of Chain: 20 inches* *all measurements are approximations.